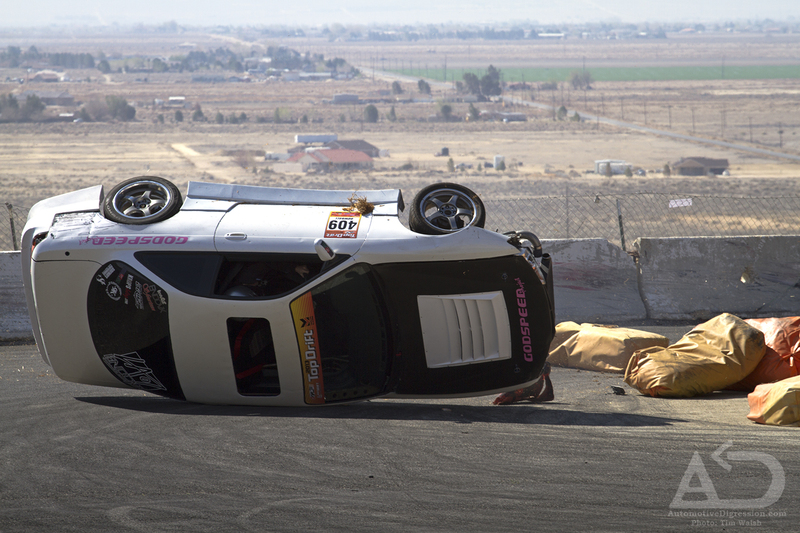 Back in March I flew to Los Angeles for a weekend of noxious fume inhalation and tire slaying with the AMDrift crew. 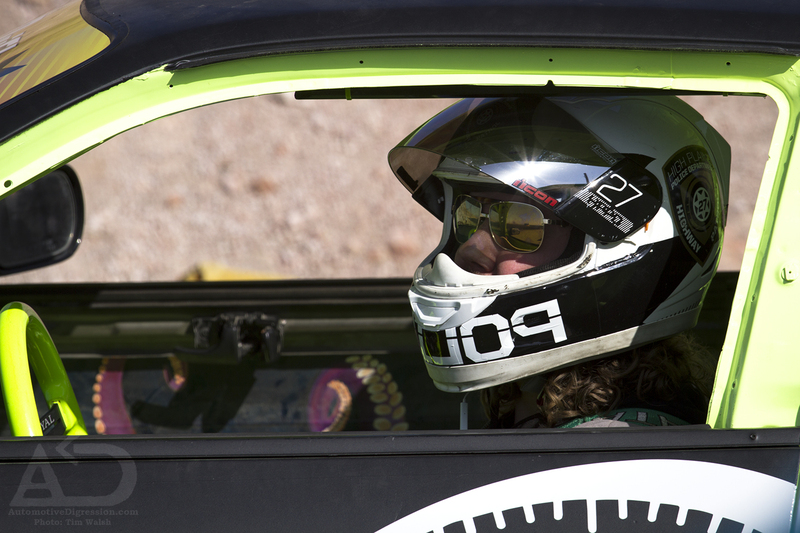 This was my first time at Willow Springs, but there were plenty of familiar faces from all over the Southwest region. As expected the California drivers charged hard, so everyone had to step up their game. 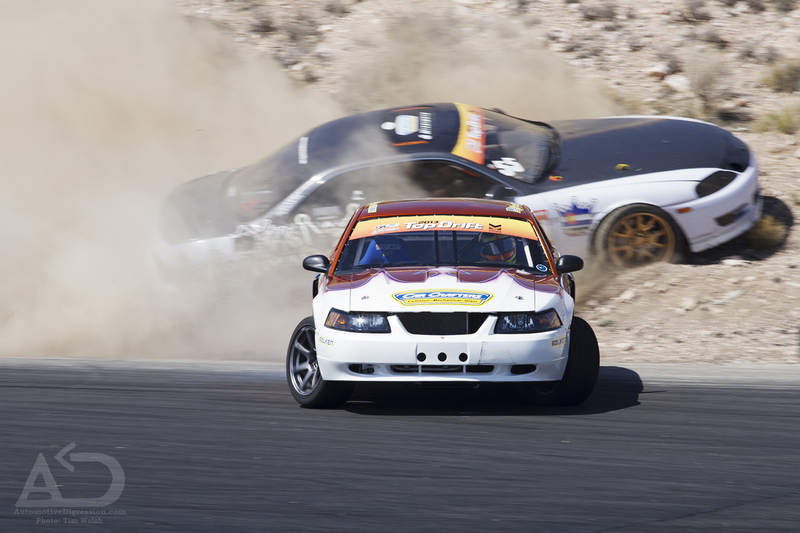 Frank Cundari lost his brakes entering the second corner while Sean Guthrie managed to avoid the impromptu special stage. This is what happens when fitment takes precedence over function. Wheel spacers were used without extended lug bolts, which caused the partially threaded lugs to let go and subsequently the front wheel popped off the car while entering the first corner at speed. Thankfully only egos were injured. The inside line around the lookout tower was a perfect place to make up ground, but it wasn't without risk. Those fluffy bags of hay are more sinister than they look. Crowd favorite Dan Brockett made the trek out from Albuquerque only to be plagued with car problems. Sad, but a very real part of racing. As I type this Dan is loading up for another trip to The Balcony for redemption. Check out the combined coverage from Dave Karey, Tyler Deal, Chonh Lee, and myself at AMDrift.com. 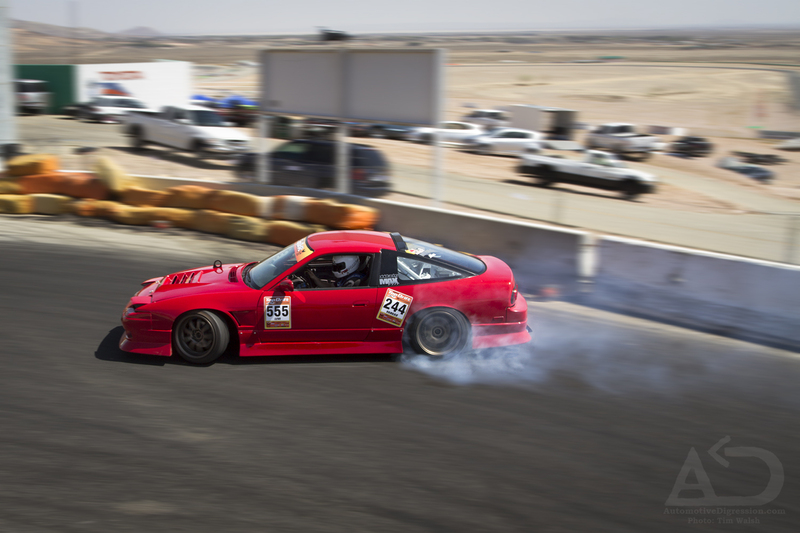 Categories: "240 SX", "AMDrift", "California", "Drifting", "Nissan", "S13", "The Balcony", "Willow Springs"